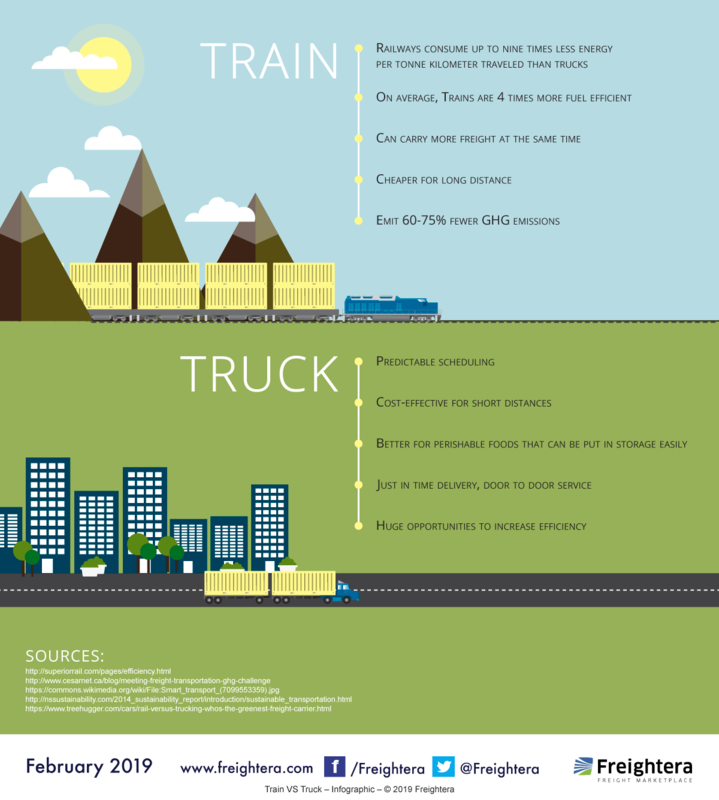 Freight Train vs Truck – what is more efficient for shipping and what are the advantages and disadvantages of rail vs truck transportation? See our new infographic answering these questions. Good Detail Shared . Indeed. yeah right for long distance train is good for freight as cost effective but if you looking for in city or town so truck option will be good. It can be delivered on time without more costing.